If you don't use a shoulder rest and someone asks what you want for Christmas, consider asking for one. If you are looking for a gift to give your violinist friend or relative and they don't use a shoulder rest now, ask if they would like one. Most people who do not play the violin assume that a shoulder rest is just there for the comfort of the violinist. While comfort is important, the shoulder rest plays an important part in being able to play well. When you hold your violin you should be supporting the violin with your chin and your shoulder. Many teachers agree, YOUR LEFT HAND SHOULD NOT BE PART OF SUPPORTING YOUR INSTRUMENT. The purpose of the left hand is to finger the strings. If you are holding the violin up with your left hand you are hampering the hand's free movement and not allowing your fingers to move quickly and smoothely as they move about the fingerboard. It may help position the violin properly for your chin and shoulder to hold the instrument in place solidly. It will be more comfortable for you to play. And, in most cases, it will improve your sound. I have placed a link on this page for you to see some of the more popular shoulder rests. I used a Kun Original for years, and recommend it, but mine got run over by a car. (Don't ask, it's a long story. But if you really want to know, e-mail me.) I recently switched to a Bon Musica. I LOVE IT! Seriously, if you don't use a shoulder rest, consider buying one. 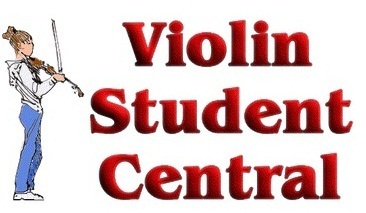 At least ask if you can try playing a violin with a shoulder rest for a lesson or two. I've never known a violinist or fiddler who bought a good quality shoulder rest and regretted the decision. Shoulder Rests Can REALLY Help Your Playing!